What better way to spend the Fourth of July than in style and luxury accompanied by the finest musical entertainment? Residents, take a stroll to the neighboring Meyerson Symphony Center. With performances by the world-class Dallas Wind Symphony, the Star-Spangled Spectacular Concert features patriotic music in an endless parade of dazzling musicianship. Break out the red, white and blue - this melodious celebration begins at 1:00 p.m. #NearbyMuseumTower. Afterwards, why not pamper your palette by firing up the outdoor grills at Museum Tower and cooking some delicious All-American fare? Immerse yourself in the beauty of Mother Nature over the holiday weekend with the Arboretum’s Fourth of July Celebration. In true red, white and blue style, the garden will offer a special reduced $5 admission and active and retired members of our esteemed armed services will receive free admission all weekend long. Enjoy patriotic music and decorations, a bite to eat and immerse yourself in the beauty of our sweet land of liberty. Join in the Independence Day fun with the City of Dallas’ official Fourth of July celebration at Fair Park. This event is something that the whole family can enjoy together! Enjoy live music, water features, rides, games and concessions within the State Fair of Texas Midway. At approximately 9:45 p.m., watch the much awaited, spectacular firework display light up the Dallas night sky - a dazzling way to commemorate the love in our hearts for our beautiful city and nation. History lovers, this one is for you! Deck your family out in red, white and blue, grab your picnic basket and celebrate our nation's past at Dallas Heritage Village. Explore the village, chat with costumed characters, go on a wagon ride and enjoy a patriotic parade #NearbyMuseumTower. This Independence Day celebration will occur from 10:00 a.m. to 3:00 p.m.
A dip in the refreshing water at Museum Tower's beautiful pool is the perfect way to spend the afternoon following this patriotic event. As always, our pool butler will be on hand to assist you with food, beverages or any other needs. Fireworks, horse-racing and crisp cocktails. Lone Star Park at Grand Prairie is throwing America the biggest birthday bash in the metroplex with live Thoroughbred racing and fun activities beginning at 3:00 p.m.! Enjoy live music and the family fun park featuring a petting zoo, pony rides, face painting and so much more. After the races, stay to enjoy Lone Star Park's spectacular fireworks display, choreographed to music. Don't miss this patriotic celebration deep in the heart of Texas. We invite our residents to enjoy the finer side of life and spend the Fourth of July on the elegant, spacious Terrace Lounge. With plenty of entertaining space both indoors and outdoors, the Terrace Lounge is an ideal location to invite your friends, family or neighbors for a patriotic gathering. Enjoy great company and perhaps fireworks lighting up the night sky. As always, our 24/7 concierge is available to assist you in any way. 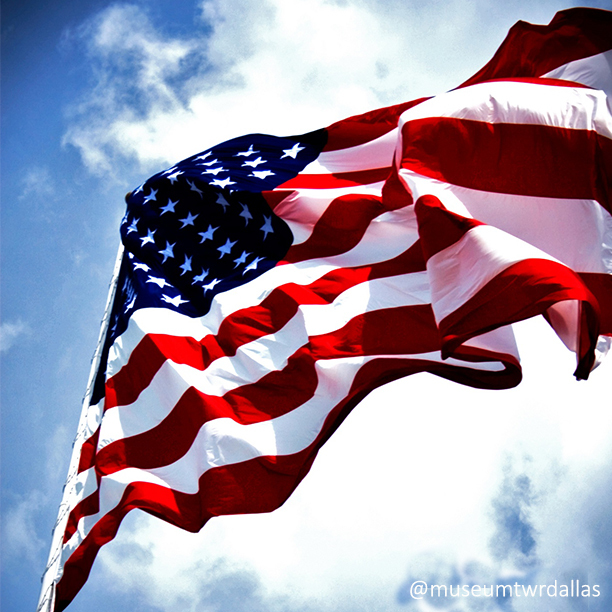 On behalf of all of us at Museum Tower, we wish everyone a very safe and happy Fourth of July. Like Museum Tower Dallas on Facebook and follow @MuseumTwrDallas on Twitter and Instagram for nearby happenings and a look inside life at Museum Tower.